We are the leading organizations engaged in offering to our clients excellent quality Autocad Drawing Services. Our drafters are highly skilled in MEP engineering drawings for various buildings, including residential, commercial, hospital and educational. 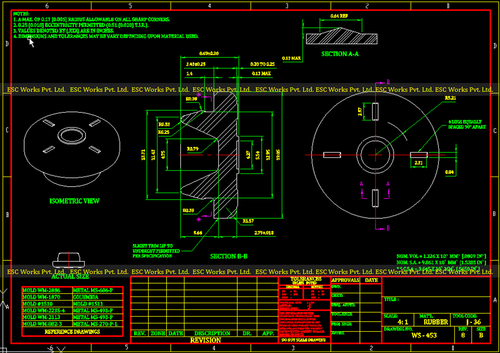 Our technicians are well-trained and certified to provide your company with excellent Autocad drawing. The offered services are highly acknowledged by our clients owing to their high reliability and cost effectiveness features. Moreover, these services can be availed at most competitive prices. We “ESC Works Private Limited” are a renowned service provider affianced in providing highly reliable CAD Services, Reverse Engineering Services, CAD Migration Services, Finite Element Analysis Services, Animation Services, etc. Founded in the year 2013 at Ahmedabad (Gujarat, India), we were established with a motto of providing the best-in-class services in accordance with industry set standards and guidelines. Managed under the headship of, “Mr. Sunil Prajapati”, we have been successful in gaining trust of our respected clients.